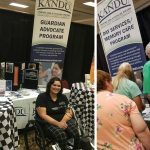 KANDU Industries Inc.Rock County Senior Fair - KANDU Industries Inc.
On September 14th, KANDU participated in the 2018 Rock County Senior Fair at Janesville’s Holiday Inn Express. Participants had access to over 80 local agency and business booths, as well as health screenings, immunizations and free workshops. Executive Director, Gary Bersell and Development Specialist, Kristin Larson presented a booth for KANDU’s Day Services/Memory Care Program and Guardian Advocate Program (GAP), offering information and answering questions about the beneficial services. It was a great opportunity to spread awareness of KANDU’s programs and invite participants to tour our facility. KANDU’s Day Services/Memory Care Program is an activities-based program for adults with disabilities or memory impairments that emphasizes improvement in physical, mental and social well-being through expert care and an understanding of each participant’s individual abilities. 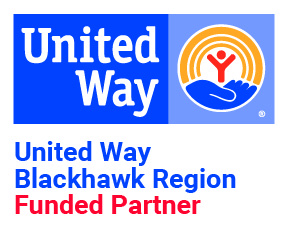 Our Guardian Advocate Program is a certified corporate guardianship program focused on assisting individuals with decision-making in the least restrictive way possible.